What do the painted green symbols mean? 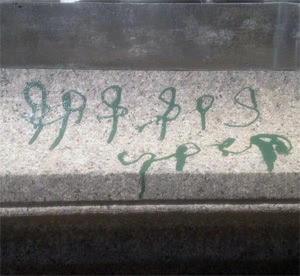 Tian Jiamel's alleged random act of vandalism may not have been so random. Christopher Loring Knowles of the Secret Sun blog quite correctly sees these symbols as SoS x2, with dripping green paint. Why were the sites vandalized specifically picked? Green paint was found on Monday morning on the statue of Joseph Henry, outside the headquarters of the Smithsonian Institution. It was at that location where strange symbols or letters (see above) were also discovered. What do they mean? Is there any twilight language here? 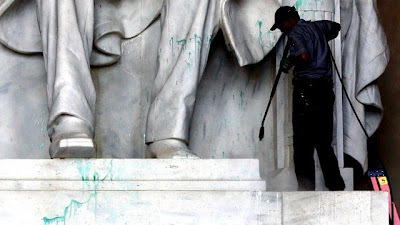 People are familiar with Abraham Lincoln, the President of the United States, who served from March 1861 until his assassination in April 1865, and whose Memorial was first vandalized. But who is Joseph Henry, whose statue was also painted with green and with symbols? Joseph Henry (December 17, 1797 – May 13, 1878) was an American scientist who served as the first Secretary of the Smithsonian Institution, as well as a founding member of the National Institute for the Promotion of Science, a precursor of the Smithsonian Institution. He was highly regarded during his lifetime. While building electromagnets, Henry discovered the electromagnetic phenomenon of self-inductance. He also discovered mutual inductance independently of Michael Faraday, though Faraday was the first to publish his results. Henry developed the electromagnet into a practical device. He invented a precursor to the electric doorbell (specifically a bell that could be rung at a distance via an electric wire, 1831) and electric relay (1835). Source. There is something deeper going on here. 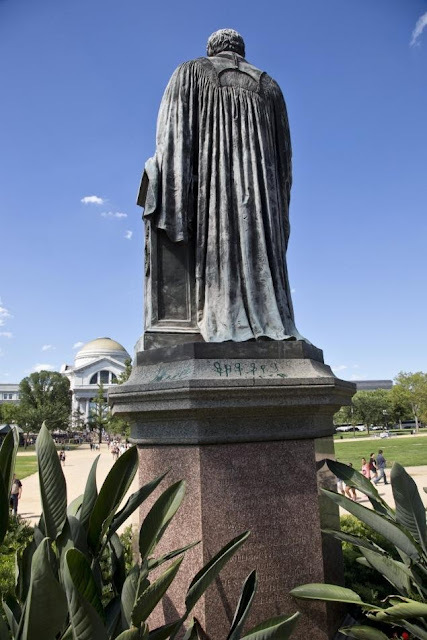 Freemason John Phillips Sousa wrote the Transit of Venus March for the unveiling of the Joseph Henry statue in front of the Smithsonian Castle. One year after the 1882 Transit of Venus, Sousa was commissioned to compose a processional for the unveiling of a bronze statue of American physicist Joseph Henry, who had died in 1878. It was performed on April 19, 1883, at 4:00 P.M. I blogged about "Sousa's Transit of Venus" earlier on this Twilight Language site. I also pondered how "Venus Transits Sol & Introduces Prometheus." 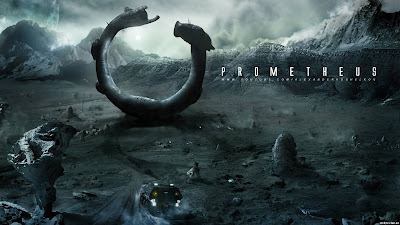 The most recent Transit of Venus was on June 5-6, 2012, and was almost immediately followed by the June 8th opening in the USA of Ridley Scott's Prometheus. 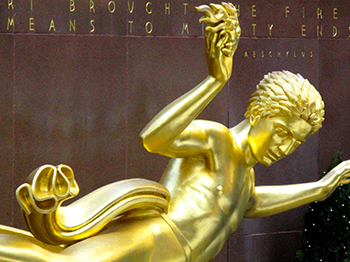 Prometheus stole fire from Zeus and gave it to the mortals. What is being given to us here? A suspect has been arrested, but she may not reveal any keys to the mystery symbols too soon. 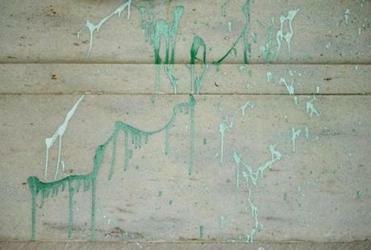 Tian Jiamel was arrested on Monday, July 29, 2013, after the latest incident of splattered green paint was found (see below) at Washington’s National Cathedral. 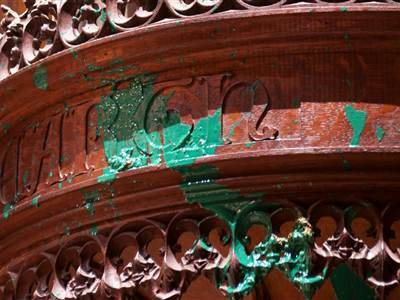 Cathedral spokesman Richard Weinberg said the paint was discovered there about 2:00 pm ET and was still wet. 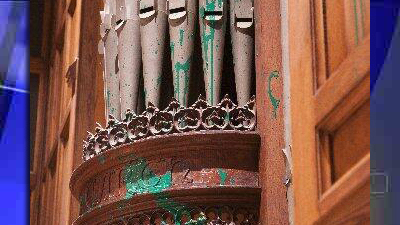 The green paint was found strewn on the organ console in the National Cathedral's Bethlehem Chapel and inside the Children's Chapel. 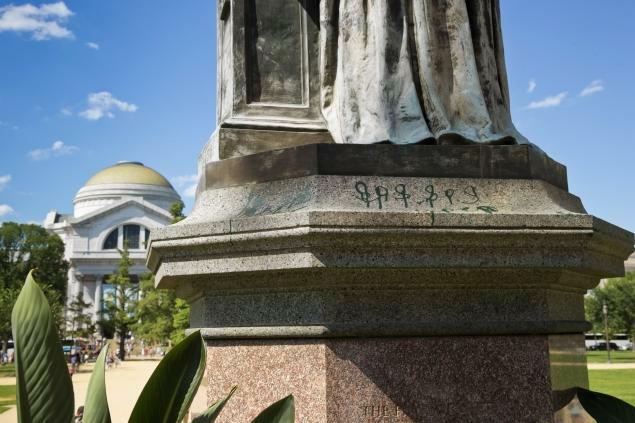 The incidents may be linked to similar vandalism at Washington's Luther Place Memorial Church and a nearby statue in Washington's Thomas Circle, police reportedly believe. 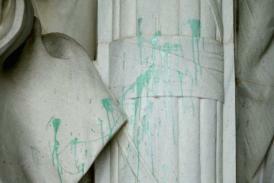 They say paint was discovered on the statue and paint and feces was found on an organ inside the church. 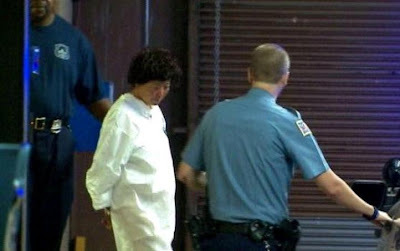 District of Columbia police arrested the 58-year-old woman after two chapels in the Washington National Cathedral were defaced with green paint, who was found close at hand. Police charged Tian Jiamel (shown above), who has no permanent address, as in, she is homeless, with one count of defacing property. What is her nationality - Chinese only? Filipino? Vietnamese? What does her name mean? Chinese Bronze script character for tian. Tian is one of the oldest Chinese terms for the cosmos and a key concept in Chinese mythology, philosophy, and religion. During the Shang Dynasty (17–11th centuries BCE), the Chinese called their supreme god Shangdi (上帝, "Lord on High") or Di("Lord"); during the Zhou Dynasty, Tian became synonymous with this figure. Heaven worship was, before the 20th century, an orthodox state religion of China. In Taoism and Confucianism, Tian is often translated as "Heaven" and is mentioned in relationship to its complementary aspect of Dì (地), which is most often translated as "Earth". These two aspects of Taoist cosmology are representative of the dualistic nature of Taoism. They are thought to maintain the two poles of the Three Realms (三界) of reality, with the middle realm occupied by Humanity (人, Ren). Source. Chinese Seal script for tian 天 "heaven"
Chinese Oracle script for tian 天 "heaven"
The Chinese symbols for tian appear resemble humanoids from the heavens. 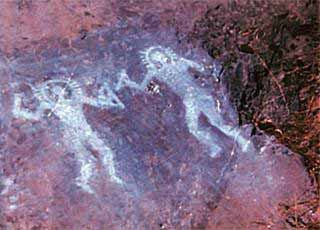 Italian prehistoric petroglyphs from Val Camonica, Italy, allegedly linked to the Ancient Astronauts visitation theory. 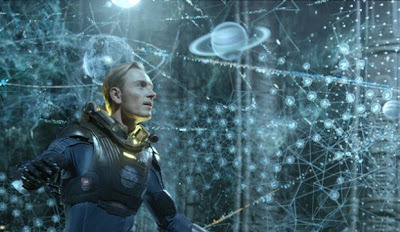 It is a probable inspiration for the cave paintings shown in Prometheus. 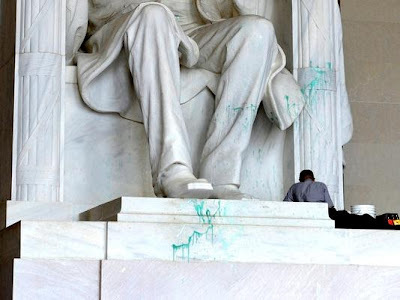 Tian Jiamel's arrest followed similar vandalism on Friday to the Lincoln Memorial, to a statue near the Smithsonian Castle on the National Mall that was discovered with green paint on it Monday, and the Washington National Cathedral on Monday afternoon. Police are testing paint samples to determine whether the three incidents are connected. The Lincoln Memorial vandalism was a shock to Washington D.C., which does not usually experience such events. 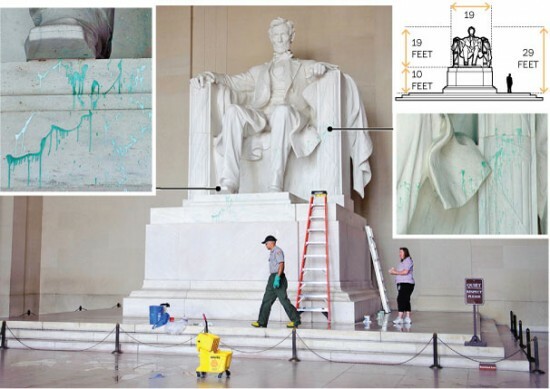 No symbols seem to have been painted on the Lincoln Memorial. Just green paint. 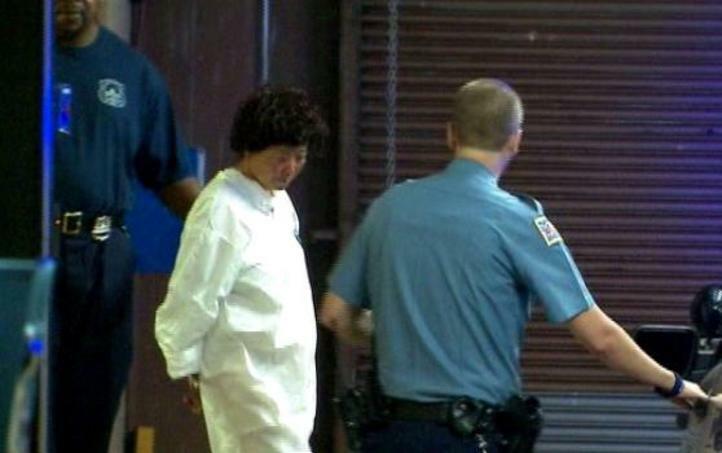 U.S. Park Police investigators were questioning the suspect Monday night, The Washington Post said. Two police officials told the newspaper that federal police had been seeking an Asian female who was possibly homeless, but were having difficulty communicating with her, reportedly, because of a language barrier. yes, yes thank you for this very important info. I make out the letters "SOS" - and the point about difficulty with a language barrier is a bit dubious, as cosmopolitan as DC is. Green could have been chosen for its visibility, although it does have symbolic meaning. At the following link, other links are made between churches/the Church and some of the "synchromystic" events you have discussed.